Making Xbox One games is about to get a lot easier. 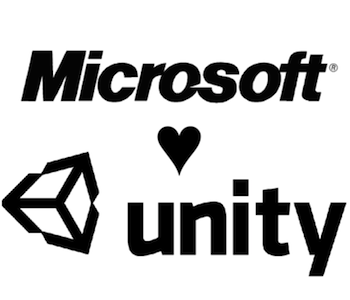 The Unity development toolset will add Xbox One support by the end of the year, according to Unity CEO David Helgason. As part of Microsoft's [email protected] initiative, an outreach program meant to the make the Xbox One a more appealing option for independent developers, Microsoft and Unity announced a deal earlier this year that will supply small studios creating games for Xbox One and Windows 8 with free Unity toolsets. "There is the toolset that we have been working on for many years that supports many platforms," he says. "From a technical perspective the idea is that you work on your game once and then you can bring it to any platform... Depending on which platform there are different costs, but the fundamental thing is that the tools themselves are the same." This is a major boon for Unity veterans. While it hasn't been the most popular toolset amongst Xbox 360 developers, the ones that used Unity will likely have an advantage porting their games to Xbox One. At the same time, the cross-platform toolset could give many indie developers their first real chance at bringing their games to consoles. "During an interview with OXM in July, I misspoke and suggested that Unity for Xbox One would be available sometime in 2013. At that time, work had only just begun on those tools so while there will be a very few developers in very early testing phases this year, the Xbox One tools for Unity will not be widely available to developers until 2014. We are currently hard at work on the technology and are making great progress but we are not yet ready to announce any specific release windows. I apologize for any confusion my statement may have caused."